Another crazy year, the 15th, to be exact, is in the books. 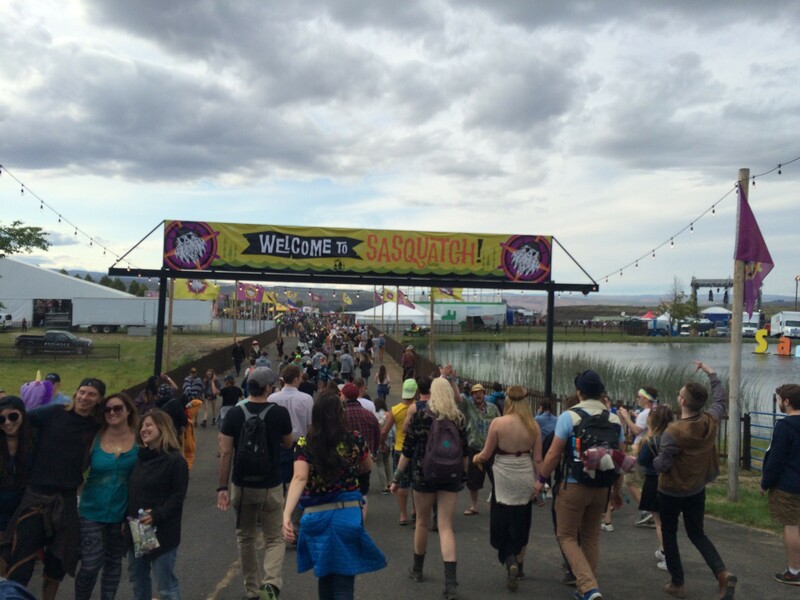 The day after Sasquatch! is often filled with aching and longing. Your bones ache and you long for two extra days of sleep to get over what you’ve just experienced. But Tuesday is here, meaning many packed up their campsites this morning to get back to work this morning. What matters is that this year’s annual festival, for all of its faults, was still supremely entertaining and enlightening. Here is the best and the worst of what went down over Memorial Day Weekend at the Gorge Amphitheatre. Dancing and swinging the night away. 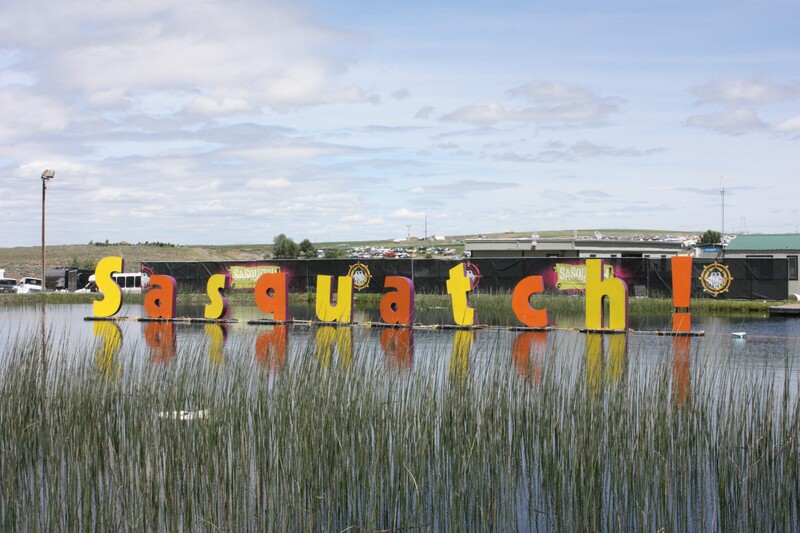 The views were there, the music was there, but for some reason, Sasquatch! 2016 saw about 10,000 less people than the year previously, according to Live Nation festival workers. This of course made camping far roomier than in years past, and stages were often surrounded with people who actually wanted to see a certain band (read: fewer bros). It’s uncertain if this outcome was a result of festival oversaturation, if the lineup wasn’t as stellar as years past, the outrageous expense of it all ($350 for a ticket, $150 for a basic campsite — food, drink and the gas to get there not included), the fact people can’t do one-day passes anymore, or probably, a mix of all of the above. It just shows that next year festival promoters will have to step it up. No doubt this year was a learning experience for them. Safety response time was on point. This year, someone in my distant friend group imbibed a little too much without drinking enough water. Sunday night, he was near the front of the stage for the Big Grams (Big Boi/Phantogram) show and fell over. Scary. His friends rushed him out of the crowd and went and found someone from Live Nation. Within two minutes, paramedics rushed to his aid with a golf cart. As he couldn’t walk at all, they got him to the medical tent and gave him an IV. He wasn’t that bad off. Two other girls inside the tent were waiting to be airlifted to the nearest hospital. Heart paddles were at the ready as their pulses were low. To the men and women who have to look after festival-goers each year, you deserve major props. The clouds look ominous but it never rained the whole weekend. Band cancelation updates were not on point. It's always windy at the Gorge, but not like this. Sunday saw winds of more than 50 miles per hour, which meant five bands on the main stage were displaced, and more than one campsite was completely decimated by tornado-esque gusts. As a wildfire raged through part of Central Washington (smoke permeated the sky), people inside the festival raged because there was seemingly no information. The Sasquatch! Twitter page and app weren’t updated fast enough and finally when Alabama Shakes got the green light to go on, many were still left in the dark. Luckily, Tacocat and Chewelah native Allen Stone were rescheduled. Nope, Snoop Dogg and Wiz Khalifa weren’t there. Brittany Howard should be the most famous musician in America right now. Someone, somewhere in a position of power started a rumor that Snoop Dogg and Wiz Khalifa were coming out for the Big Grams set Sunday night. It never happened. Boooooo! The fib, however, did keep folks interested in the show long into the early morning, but that just wasn’t nice. 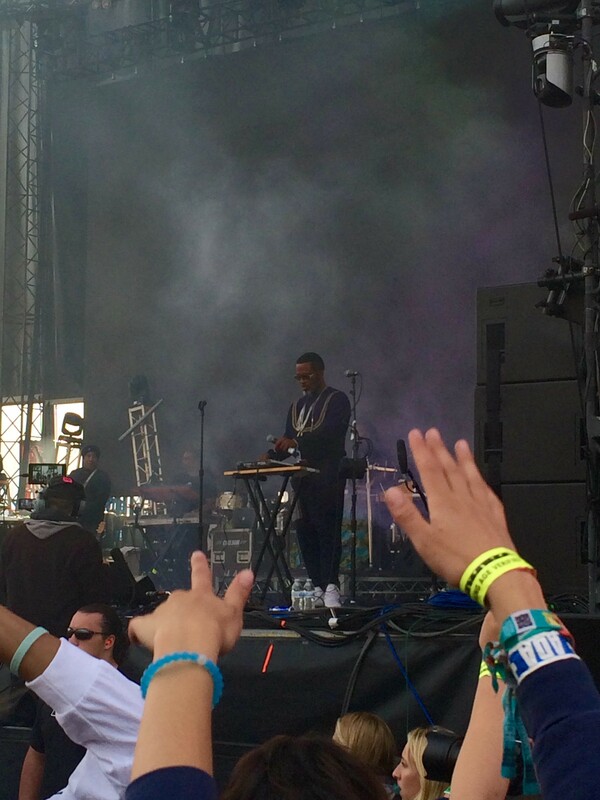 On a better note, the best hip-hop show of the weekend went to Vince Staples. Move over Beyonce, there’s a new B in town. 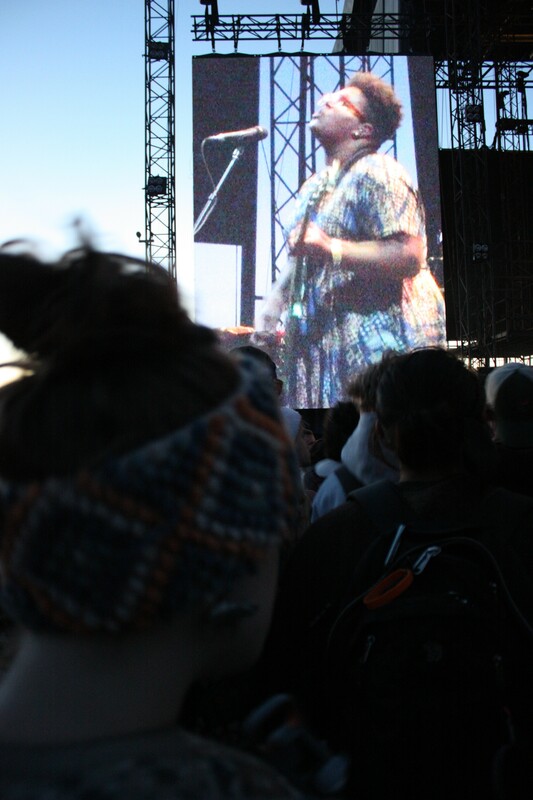 Brittany Howard of the Alabama Shakes of course isn’t new; her band has been lighting up stages since 2009. But Sunday night, her show slayed. She didn’t tell anyone to "get in formation" or call out "Becky with the good hair;" instead, she used her stunning vocals to rip the crowd’s hearts to pieces right along with her own. More than one person told me she made them cry. Standing in a blue patterned dress, she worked so hard up there, sweat permeated her brow. At one point she even took off her glasses to better belt out her soul. She was utterly brilliant and her band's rockin' set was the best of the entire festival. 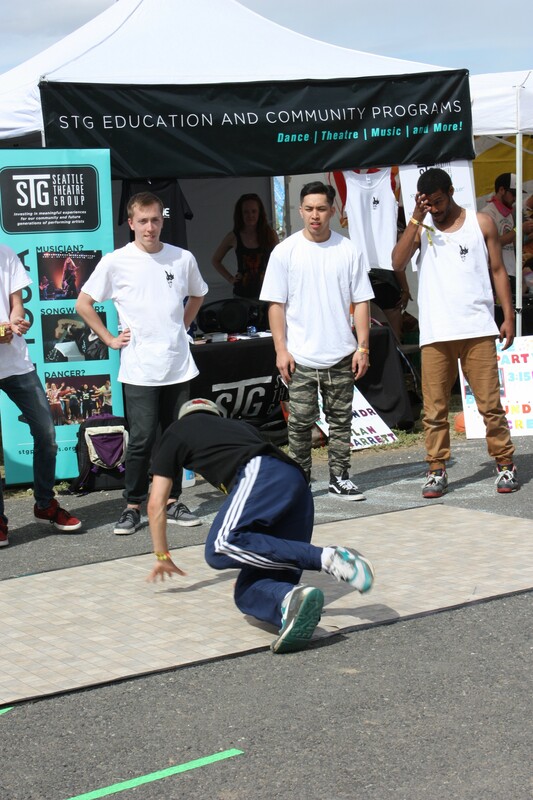 Breakdancers offered another element to the already packed vendor area. Seattle hip-hoppers Brothers From Another, also playing Volume this weekend, had the cutest boy-band dance moves ever. Also, John C. Reilly showed up, unexpectedly, at Nathaniel Rateliff & the Night Sweats' Saturday set. He boogied in his white cowboy hat, and so did the crowd. Sasquatch! has always been about bringing all types of music together and that’s a great thing. Saturday night’s Major Lazer set was certainly a highlight of the festival for sheer entertainment value. Even all the people on the upper lawn stood for that one, dancing, jumping and raging. But for all the booty dancers, hype men and laserific lights, it was still a glorified dance party. However, not all was lost when it came to finding real rock 'n' roll at the festival. Ty Segall and the Muggers on the Bigfoot stage were the most amazing, causing everyone around me to nod and headbang in agreement. One guy even told me “You need them both up to rock” when I only had one arm up in the air. And Hop Along’s Yeti set on Saturday sent chills down my spine over and over again. Lead singer Frances Quinlan has the most raw and ridiculous voice ever, and her band more than kept up. Finally, Sunday’s Mac DeMarco set, which included a whole bunch of his Vancouver, B.C., friends chilling on stage with him and crowd surfing, also proved that rock isn’t dead. 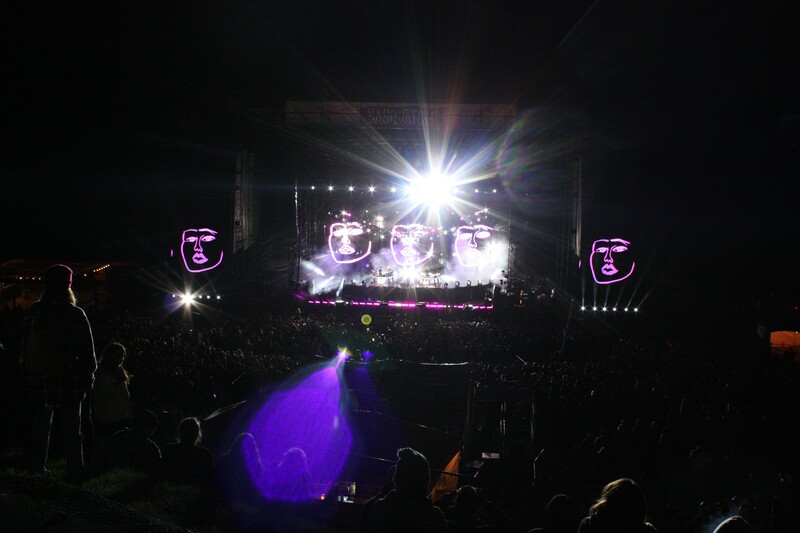 Friday night's Disclosure set offered a pretty great light show, even for folks who weren't on drugs. Bring your baby to festival weekend? Babies are adorable. And while there are folks at festivals who function as well as a small child around 3 am, they are still old enough to know better. But the heat and noise seem like a lot for a kid to handle. If you’re a parent still looking to relive your old Sasquatch! days, that’s awesome, but perhaps a babysitter is in order. Ishmael Butler will play with Shabazz Palaces Saturday during Volume. After seeing hip-hop trio Digable Planets on the main stage Saturday, it’s clear that Volume’s Shabazz Palaces show is going to be incredible, if only for Ishmael Butler’s fly genie-esque outfits. Read our interview with him right here. The solution: Three days, man, three days. 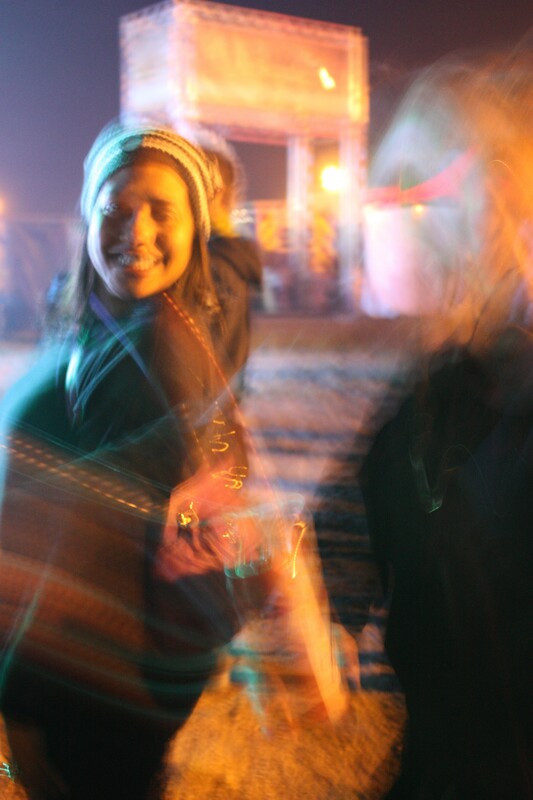 The festival should be three days — Friday night until Sunday night, with everyone leaving Monday morning. This would allow for perfect curation of lineups, without perhaps so much EDM filler on the main stage. People can go hard for three days in a row, but Monday is always a struggle. Many move a lot more slowly, many simply drive home early. Three days is the solution. 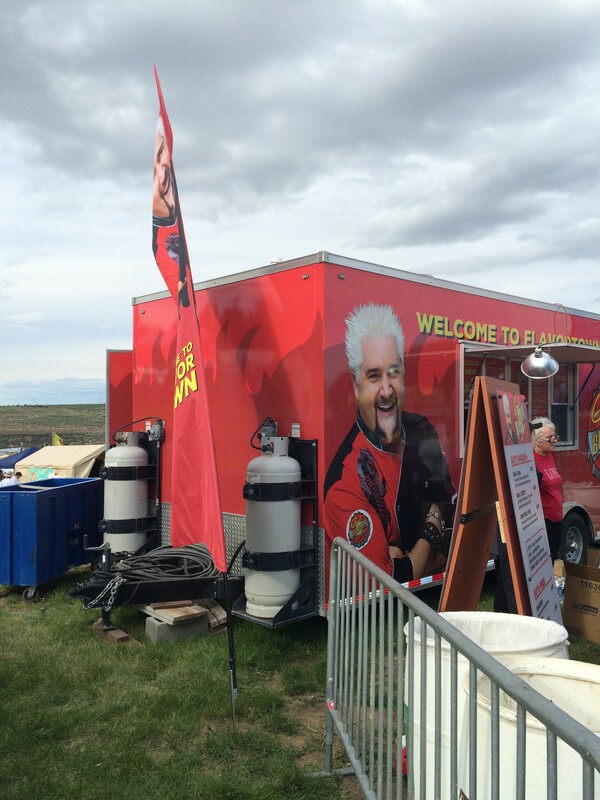 But the biggest mystery: who allowed Guy Fieri in?